Desiree Martinez is busy in her kitchen preparing for her day helping Fresno's homeless. One task: checking the local weather forecast. “Ow! Triple digits all week!” she exclaims. Realizing that this day will be a hot one, she pulls case after case of bottled water from her refrigerator, then stacks them in her vehicle outside. 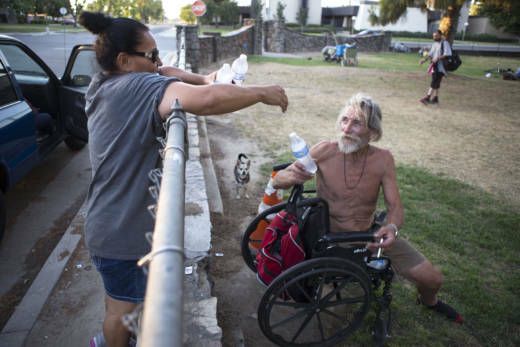 On days when it's this hot, Martinez spends hours driving around Fresno handing out bottled water to the homeless. “I’ve been doing it for so long that I kinda get a feel for how many people are going to be at each place,” she says. 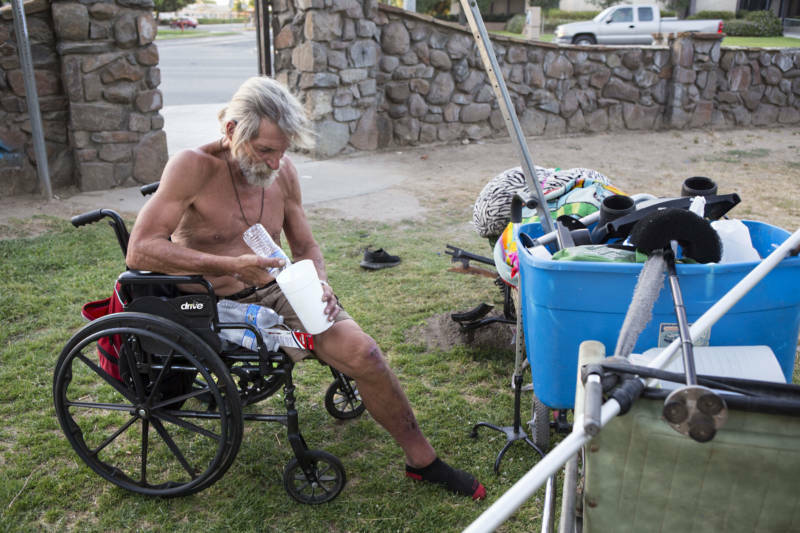 Fresno’s homeless used to be a lot more visible when they lived in large encampments. Fresno had a lot of these semi-permanent shantytowns located beneath the overpasses. In some areas the tent cities grew so large they filled up sidewalks and spilled into the roadway. But things have changed. In 2011 and 2013 the city cleared out these encampments and has mostly kept them from cropping up again. Officials say 150 people got help finding housing, but hundreds of people are still without permanent shelter. 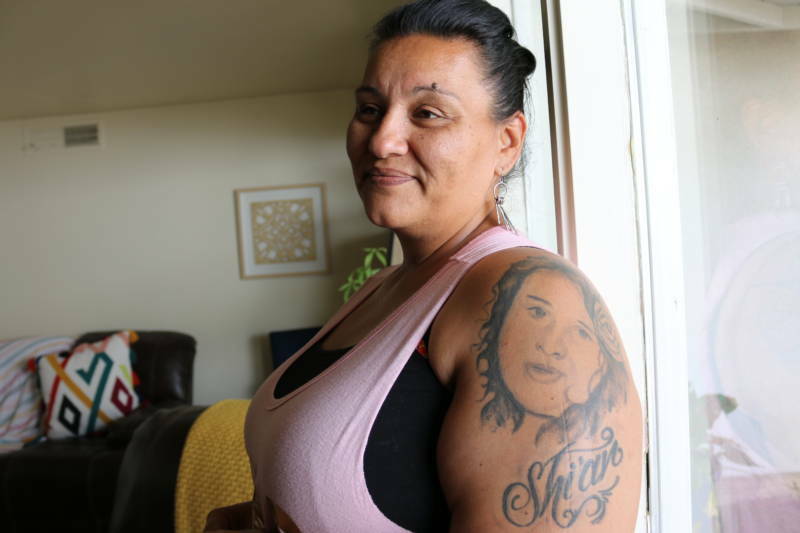 Martinez knows where to find them -- she used to be homeless herself. After driving around in her beat-up SUV for a few minutes, scanning the streets, she turns onto a side road and pulls up to a makeshift tent of tarps and blankets. Wanda Morgan stays here with her husband and her adult daughter. She’s 57 and has been living on the streets off and on for about three years. “How you doing?” Martinez asks. Morgan turns to show her. Her back is raw and the skin is peeling. Across the street there’s a lush lawn in the shade of big trees. But Morgan’s family doesn’t dare venture over. “We can’t be on that side because that’s state property,” Morgan says. The homeless here say life’s gotten harder since the city’s crackdown on tent cities. They have to keep on the move to avoid getting in trouble with police. 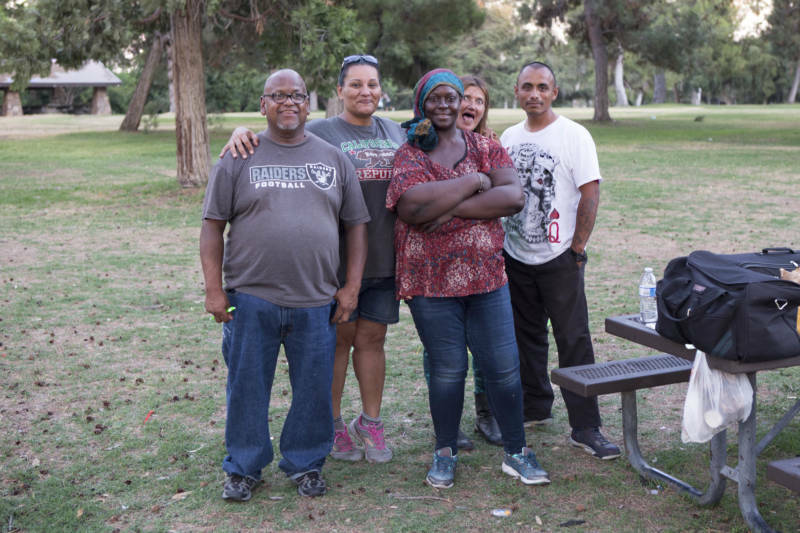 Now that the big encampments are gone, the county has focused on quashing small camps -- often in more rural parts of the county -- as they pop up. The county’s already spent over $100,000 clearing encampments this year. Martinez’s next stop is a nearby park. People aren’t allowed to sleep here, and they worry their shopping carts will be impounded by police if they hang out too long. Still, it's one of the few places the homeless can get out of the sun. Martinez has been doing this kind of outreach to the homeless so long that everyone recognizes her SUV. As she unloads water, people wander up from around the park. A woman who goes by Chuy is one of them. She used to live in one of the big encampments. Now she says she moves around the city, finding ways to dodge police scrutiny. “I stay everywhere,” she says. Local officials say the homeless population has been cut in half to about 1,500 on any given day. That number is for both Fresno and Madera counties. Officials say it’s because they’ve added more housing and streamlined services. But advocates for the homeless suspect the people living on the streets are just harder to find now that they are working to stay out of sight. It takes people like Martinez, who know where to look and have earned trust. 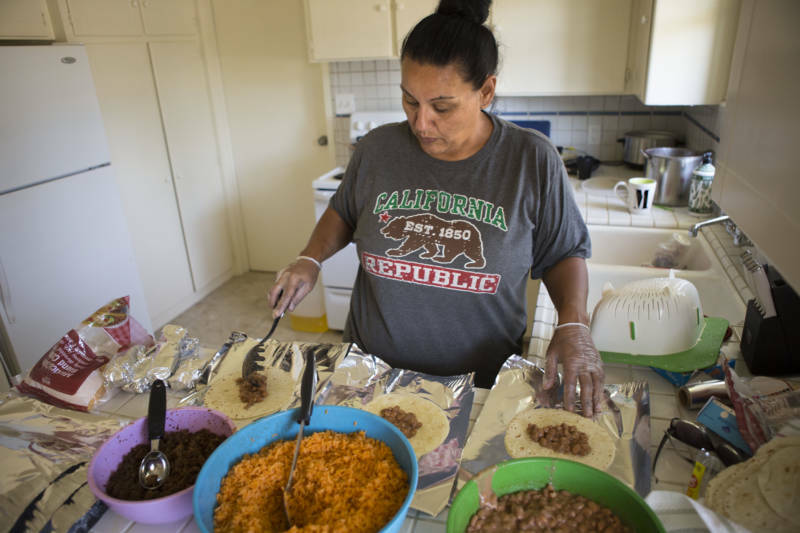 She sends the homeless men and women she finds in in the park away with their arms full of supplies -- water bottles, tampons, deodorant, toothbrushes, toothpaste and foil-wrapped burritos handmade by Martinez. Martinez has dedicated herself full time to helping the homeless in the city of Fresno. She says the work helps her deal with painful parts of her own past -- the very things that led to her homelessness. Martinez spends most days handing out water and food. But she also launched a social media campaign and collects donations. She successfully applied for nonprofit status, and she has big plans. She partnered with a local philanthropist to create what Martinez calls a “sanctuary.” A private home where she’ll care for a few people at a time, helping them get into permanent housing. She’ll drive them to appointments and help them navigate the state programs in place to help. Most important for Martinez is for it to feel like home. “Something that just inspires you to say, ‘OK, I want to get better,’ ” she says. Eventually she’s hoping to expand so she can reach more people.